CULVER CITY, CALIF. (October 16, 2012) - Two-time Golden Globe(R) nominee Joseph Gordon-Levitt (Looper) delivers pulse-pounding excitement in the action-packed thriller Premium Rush , coming onto Blu-ray(TM) and DVD with UltraViolet(TM) Monday, December 21st from Sony Pictures Home Entertainment. The film also stars Academy Award(R) nominee Michael Shannon (Best Supporting Actor, Revolutionary Road, 2008), Jamie Chung (Suckerpunch), and Dania Ramirez (American Reunion). Bonus materials include two behind-the-scenes featurettes: "The Starting Line: Meet the Cast," which highlights the cast and creative development, and "Behind the Wheels: Featurette on the Action, Stunts and Chases," providing a behind-the-scenes look at what it takes to do one of the riskiest jobs around. of Manhattan. Also starring Michael Shannon, Dania Ramirez and Jamie Chung. 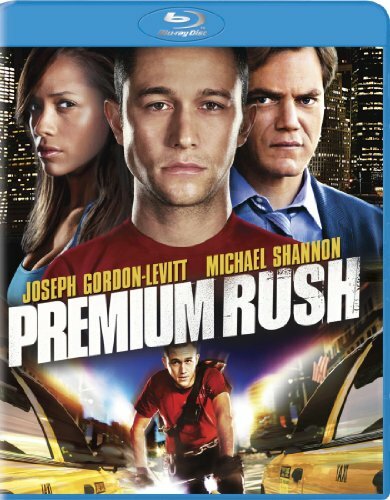 David Koepp directed Premium Rush it was written by David Koepp and John Kamps and was produced by Gavin Polone. * "The Starting Line - Meet The Cast"
* "Behind The Wheels - Featurette on the Action, Stunts and Chases"
Premium Rush has a running time of 91 minutes and is rated PG-13 for some violence, intense action sequences and language. Sony Pictures Home Entertainment is a Sony Pictures Entertainment (SPE) company. Sony Pictures Entertainment (SPE) is a subsidiary of Sony Corporation of America, a subsidiary of Tokyo-based Sony Corporation. and distribution; operation of studio facilities; development of new entertainment products, services and technologies; and distribution of entertainment in more than 159 countries. For additional information, go to http://www.sonypictures.com/.